This product licenses the holder to access GMetrix exam simulation and practice software for one Autodesk Certified Professional application. 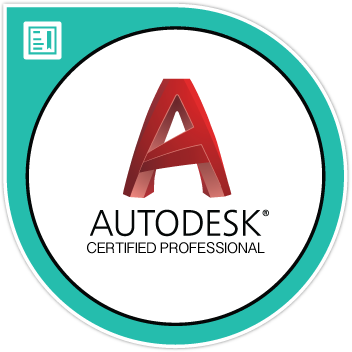 GMetrix online practice tests for the Autodesk Certified Professional qualifications are designed to replicate the certification exam experience so test takers can better prepare themselves for test day. The practice tests use the same exam format as the certification exams and are mapped to the certification objectives so a test-taker is assured that he/she is learning and practicing the skills that will help him/her pass the certification exam. GMetrix has two test modes; Testing Mode and Training Mode. This license includes practice test access for a single application certification exam up to 30 times during a one-year period. When the license holder activates this license he/she will be able to choose any GMetrix title for ACP. Once the license holder has chosen a title, the license will then be locked down to allow the license holder access to only the chosen title.